The Sands of Dee is an on-going, on-off project that has thus far taken a number of forms. 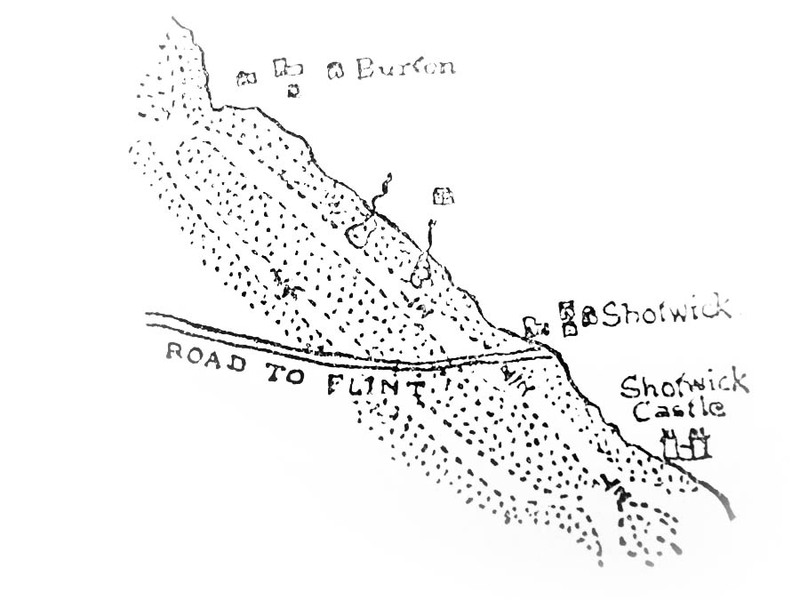 The Dee in question (and its sands) is that located in the estuarine spaces in-between the Wirral peninsula in England and Flintshire in North Wales. This area is comprised of terrain that unquestionably falls into the category of liminal landscape, on account of which it has over the years come to represent a space where, for me at least, various interests, questions, motivations and desires have coalesced and provisionally taken root. It is also a space where this North London émigré and his family have, since 2006, made their home. In its nascent form, The Sands of Dee – or the shape it had come to assume by that point – was outlined in two academic presentations: one at a workshop on cultural mapping and locative media at the University of Liverpool in May 2010; the other at the Liminal Landscapes: Re-mapping the Field conference organised by myself and Hazel Andrews, which took place at Liverpool John Moores University in July 2010. The latter event provided the spur for subsequent publications, namely the book Liminal Landscapes: Travel, Experience and Spaces In-between (Routledge 2012), and the ‘Liminal Landscapes’ special edition of the Journal of Tourism, Consumption and Practice (Vol 4: 1, 2012), edited by Hazel. Specific focus on the Dee research formed the basis of the article ‘The Sands of Dee: Estuarine Excursions in Liminal Space’, published in the Liminal Landscapes volume (download here). 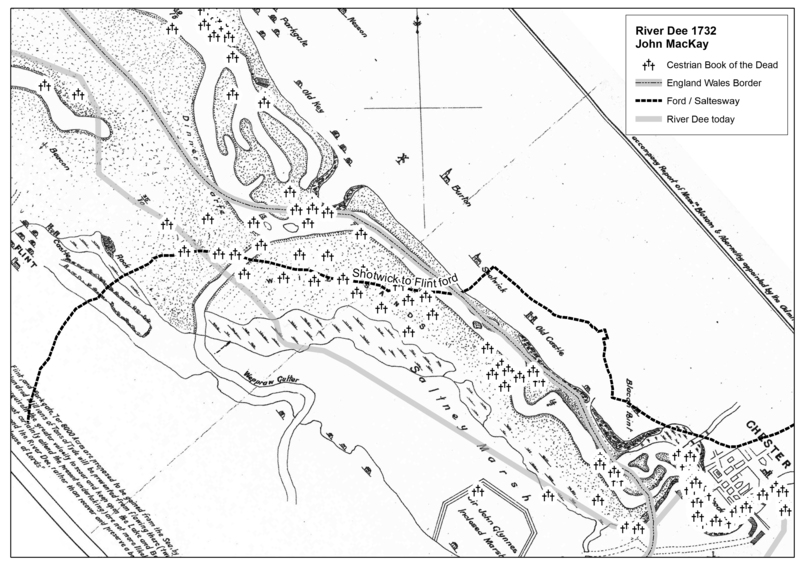 More recent publications include the article ‘The Cestrian Book of the Dead: a Necrogeographic Survey of the Dee Estuary’, published in David Cooper et al’s edited volume Literary Mapping in the Digital Age (Routledge (2016). The Estuary will also be explored further as part of the forthcoming monograph Spatial Anthropology: Excursions in Liminal Space (in preparation, 2017). 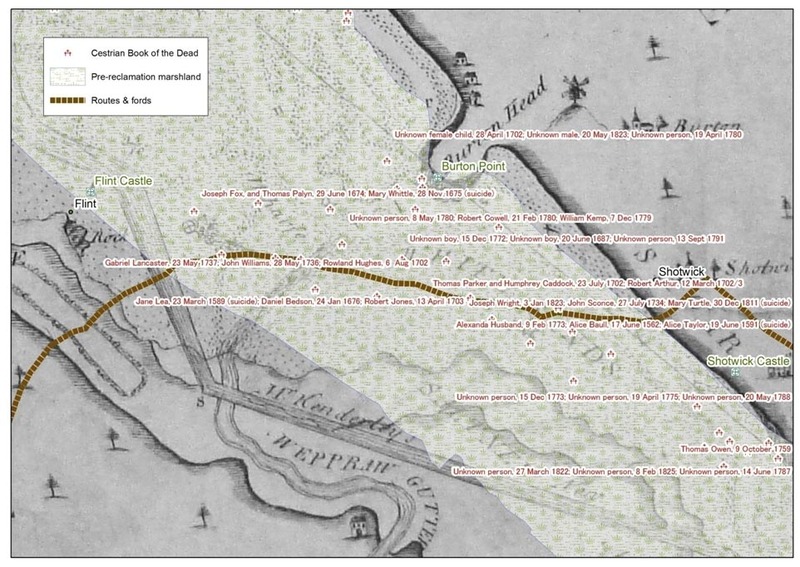 The ongoing Sands of Dee project has also led to the creation of The Cestrian Book of the Dead: a digital necrogeographic map of sites of drowning on the Dee, which stretches, geographically, from Chester to the mouth of the river at Hilbre, and historically, from the 1500s to the 19th century. 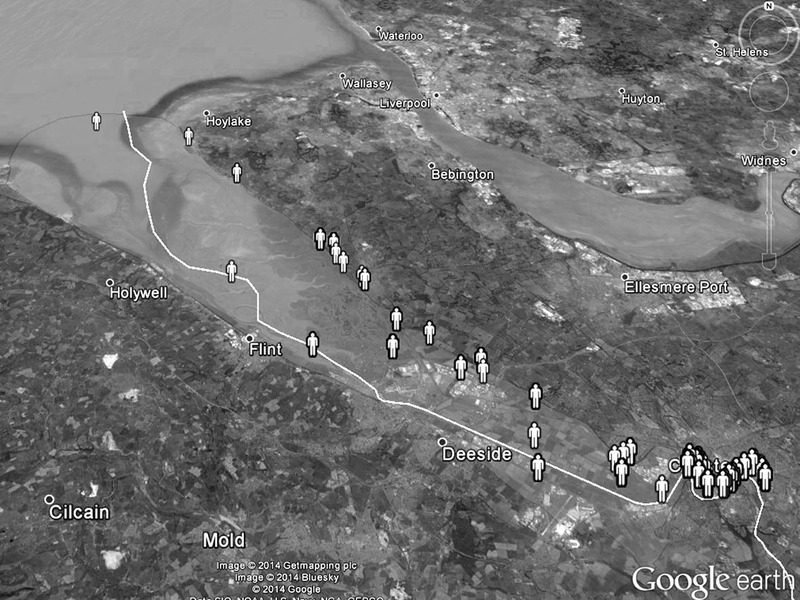 The GIS mappings that have resulted from research into the historical geography of the Dee estuary have also prompted more site-specific engagements in and throughout the estuary itself. As part of these intermittent wanderings through the in-between spaces of the Dee a sizeable photographic archive has also been assembled. A selection of images can be viewed via the gallery link below.